Brewers n Packers: Packers win first Super Bowl and last one? Packers win first Super Bowl and last one? what we don't know is, if the Packers win the Super Bowl in 2012 will it be the last ever, Super Bowl? According to the Mayan Calendar December 21, 2012 is the last day. The Maya, who lived in southern Mexico and Central America, were highly developed in mathematics and astronomy. The Mayan calendar involves a cycle of about 5,000 years, and on Dec. 21, 2012, it starts again at zero. I don't know how many people believe in these kind of predictions, (obviously) there are many followers of these beliefs because of the constant news of this doomsday prediction. I do not believe that 2012 is the END. 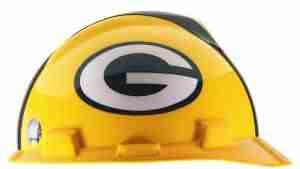 I want to wish the Packers and Brewers the best of Luck in 2012 and beyond!